Rock musician, actor and author Levon Helm is being remembered by many people since his death last week. Some are of those people famous and some like me, not. 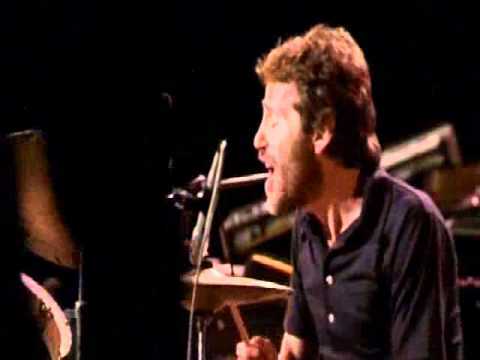 When I saw Levon Helm in The Last Waltz, it changed my live forever. But the memories are strong. Share your remembrance of Levon if you like. Earl Cate from the Cate Brothers toured with Levon Helm “My brother and I went with him in 1978 to Japan with the RCLO All-Stars, it was actually Steve Cropper, Donald “Duck” Dun, Saturday Night Live. He probably influenced more musicians than anyone, especially us but there isn’t a musician that heard of Levon. We would be playing in California or New York , of all the people that showed up like Bob Dylan might show up when he didn’t know he was coming and Van Morrison, you name it. Band mate Robbie Robertson had a 35 year feud with Levon Helm over The Band and royalties. “I am so grateful I got to see him one last time,” Robertson said, “and will miss him and love him forever.” Levon held that Robbie Robertson and their manager Albert Grossman stole his royalties. Levon Helm changed my life one Sunday afternoon in Charlottetown, Prince Edward Island a tiny city in a rural Island off the east coast of Canada. I’d slipped into the local theater alone on Friday night, haunted by my demons. There on the screen was Levon Helm and The Band, along with Bob Dylan, in the movie “The Last Waltz.” Just before the movie started, the screen said “This movie should be played loud.” Right on. I know they wanted to make Robbie Robertson charismatic in the movie but you couldn’t take your eyes off the mad drummer who sang out of the side of his face. He was so authentic and the band followed his lead. It drove me crazy, that movie, because it opened up the memory of who I used to be – a real free thinking person who loved music and rock and roll. JWs aren’t allowed to like the devil’s music. On Sunday afternoon I snuck back into town – because Jehovah’s Witnesses have a Gestapo that watches every move – and settled into my seat one more time to listen to music. The theater was full of like-minded rock and roll worshipers. With the communion at the altar of rock rebellion over, we left. I was born again, determined not to waste one more minute of my life being a Jehovah’s Witness. It took a little time to work out the details but I left that religion and still thank Levon Helm for helping along the road. I saw him several times after that – with the Cate Brothers back in Charlottetown and last fall in Fredericton, NB. Levon Helm was always a great musician and showed a lot of love for his fans.